Clad in khaki boiler suit and dark glasses, Michael Portillo joins the US Navy Pacific Fleet, birthplace of the elite flying academy Top Gun. 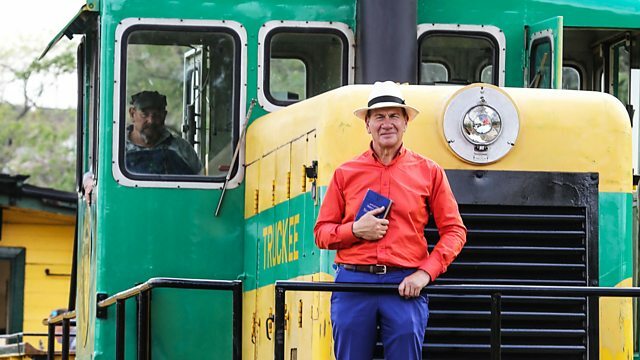 Michael Portillo is nearing the end of his thousand-mile rail journey from Reno, Nevada, to San Diego in southern California. In this final leg, clad in khaki boiler suit and sporting dark glasses, he joins the US Navy Pacific Fleet, birthplace of the elite flying academy Top Gun. Aboard the Pacific Surfliner, he arrives first in the coastal town of La Jolla, where he takes to the water in a kayak to explore the extraordinary 75-million-year-old caves.